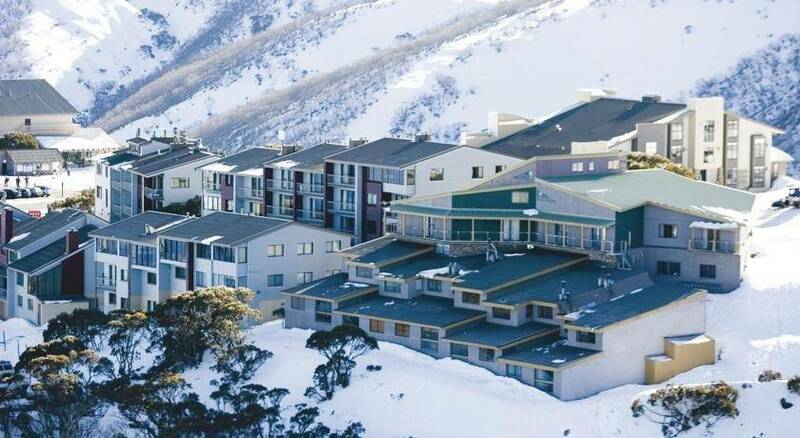 Mt Hotham ski resort offers is, in our opinion, a resort for the more experienced skiers. Unlike the family-friendly resorts like Falls Creek, Perisher and Mt Buller, the terrain in mount Hotham appears steeper and more challenging. With some of the best powder and off-pistes in Australia, Mount Hotham is the perfect ski holiday spot for the daredevils. A very popular ski-in/-out adjacent to the skilift. 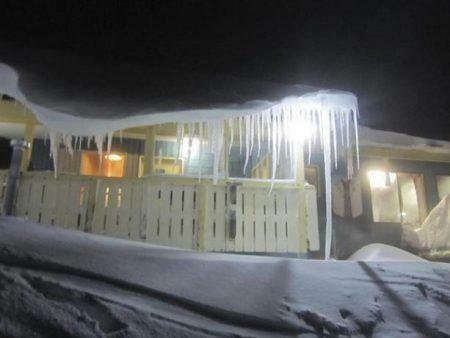 Very Popular accommodation - Ski-in/-out, Sauna and Indoor pool. Family friendly hotel incuding free wi-fi. Mount Hotham is known for its “upside down” skiing. By “upside down” it’s understood that the village is located on top of the mountain and skiers start skiing from the top to get to the lifts for more skiing. Although a few lifts are present above the road, most slopes are downwards while the village is on top of the mountain. Near the top of the hill, adjacent to the town, the skiing area is flat and hence suitable for beginners. The slopes become challenging and steeper as one descends from the village. Hotham is a popular ski resort in Victoria, which offers the best skiing for intermediate and advanced skiers but it does have something to offer to beginners. The beginners’ terrain is located in the northern part of the village. The Summit chairlift provides access to the Summit Run where skiers can try the mellow slopes that are about 500 meters long. In the Southern end of the village, there is another perfect spot for beginners. The southern area includes the Easy Street and the QC slope located next to the Big D Express. The presence of a magic carpet makes the hills more accessible. Beginners and first-timers won`t be able to tap the full potential of the ski terrain, as most areas are reserved for intermediate and advanced skiers. Being a haven for intermediate and advanced skiers, the resort makes skiers take a big leap from beginners to intermediate skiing. The marked blue pistes are not so easy to early intermediate skiers, as some of the blue marked pistes would be categorised as black marked pistes. Intermediate skiers can take the Orchard chairlift to get to the blue slopes with runs such as the Big Slope, the Bushwacker, Watershed, and Twirlgig 1 and 2. Rambo revenge is one of the most preferred runs, and this run is accessible by the T-Bar located near the Summit. The Rambo’s revenge is a vast, long and consistent patch that isn’t crowded; the less crowd will give skiers plenty of space to ski to their heart's content. For an advanced skiing experience, skiers can enjoy the challenging runs at the extreme zones of Gotcha Ridge, the Coles Bowl, Mary’s slide, and the Chute. Each of these runs offers the most challenging and steep runs. Most of the runs in the black marked trails are off-pistes with the luxury of lift access. Many of these runs include the Swindlers creek, allowing the skiers to traverse back to the Heavenly Valley chairlift. The traverse could be incredibly fast, and skiers can expect to take an unanticipated plunge when the weather conditions are extreme. At the end of the black marked trials, the trail suddenly flattens out. The flattened-out surface is not suitable for skiing, and unfortunately, skiers and snowboarders have to get off their skies and boards and cross this area near the Heavenly Chairlift on foot. Luckily, getting onto the other side offers a completely new adventure. The area on the opposite side of the flattened-out surface includes challenging runs like the One Tree Hill, the Spargo’s, the Golden Point and the Two Micks. However, sadly, if the weather conditions are not suitable, then these runs are closed. For experienced skiers who are looking for extremely challenging runs and if they are willing to take the risk, then they must head to the Lindsay run. The terrain, initially, is wide open and deceptive! It starts with wide-open pistes with easy skiing and seems like it has nothing challenging at all. Then things change, and the skiers are up for a roller coaster ride, once they hit the tree lines. Just near the tree lines, the area suddenly becomes steep with several cliffs. Skiers must tread with caution in these double black diamond pistes, as the area is notoriously windy and a wrong lapse could be dangerous. With many circuits in different lengths and over 35 kilometres of trails, the Hotham and Dinner Plains offer some of the best experience for cross-country skiing. The cross-country trails at Hotham have no trial fees. Skiers can start skiing from the Wire Plain and explore the peaceful snow packed region, away from the hustle and crowds of the resort. The Hotham Dinner Plain Trial is a one-way 10 kilometres long trail and one of the most iconic trails in the region. The second most popular trails are the Christmas Hill, Big Spur, and Wonderland areas. As skiers depart from the Skiers Crossing, some trials in this area are suited to various difficulty levels. Experienced skiers can head to the Charles Trails and its steep slopes leading towards the Sunrise Lookout located on the peak. Après and nightlife at Mount Hotham are equally thrilling, as its highly steep slopes. Skiers, at the end of an adventurous day, head to the many pubs and bars for some après ski to meet new people, relax, and get ready for the next snowy adventure. The Acro-Ski Lodge is a conventional Bavarian Bier Hall that is famed for serving a wide range of traditional Bavarian beverages. Skiers enjoy the European theme and Bavarian drinks. The beer from Acro-Ski is from the very popular Acrobrau Brewery; the brewery has won five gold medals at the 2013 European Beer Awards. The sizes range from a giant Steins that holds about a litre of beer. The bar has a 300 mil option for those looking for some light drinking. Apart from the beer, a range of spirits and Schnapps are imported from Austria and Germany. The bar opens at 8 am in the morning and remains open until late. This bar has a special spot for skiers, for its delicious comfort food and some of the finest selection of craft beer. The Brid has a friendly ambience with friendly and passionate staff. The live music adds another dimension to the fun and excitement of the bird. The Arlberg Bar and Bistro is a favourite among skiers. The bar offers the finest selection of locally brewed Australian craft beer and delicious pizza. The bar offers the White Out Pale Ale, a favourite for everyone. The ale is available in Blue Bird Lager, Arlberg Golden Ale, and Orchard Drift Apple Cider. A perfect cosy bar for après is located near the Dinner Plain; the bar offers delicious cocktails and drinks to everyone. Most of the beer is local and brewed with some of the purest water available in Australia. Located right in the Hotham Central, the Chill Bar and Café is the best location for apres ski. After a long day at the slopes, the Chill Bar and Café gives the skiers time to relax with some delicious fresh hot meals with a wide selection of drinks. The views are spectacular, and the views from the bars are breathtaking, the best thing about this bar is perfect live music with best wine and cocktails on Mount Hotham. The General Store is famed for its lively nights and its excellent DJs and musicians. The General Store has a party going on every day; you can play darts, enjoy some comedy with DJ Eddy. The most popular après locations for skiers who want a big party to continue into the early hours of the morning. Ideally located near the Lawler’s Complex, and the Day Carpark the Last Run bar is a very warm, cosy and trendy place for après. The atmosphere is comforting and perfect for meeting new people and making new friends. The Swindles Bar is located near the Village chairlift, and skiers just need to ski their way to the bar and quickly grab the Jug of Boags. The bar has a massive screen that usually plays Australia’s local sports like Footie. The bar is one of the most popular après ski location among locals and international skiers and tourists. For those who are looking for a European bar and après ski hangout in Australia, then the Zirky’s Bar and Bistro is just the thing for you. The beers and wines are imported from Austria; the bar has original schnapps and authentic gluhwein. Mount Hotham is a ski resort for experienced skiers, but that does not mean that the resort does not offer anything for families with children. Here are some of the most popular activities in the resort. The Snow Park, located at Dinner Plain, is a popular spot for skiers and tourists alike. The Snow Park has an adventurous snow tubing facility available for unlimited fun, day and night. The Dinner Plain Snow Park has two dedicated lanes that are elevated for an easy gradient for more speed and thrill. Enjoy this exhilarating adventurous ride down the slopes. A ramp is ideally placed towards the bottom of the slope to help in an easy and safe stop. The children must be aged four years or older to enjoy this ride. A single tubing session will cost about 9 euros, a Family Pass will cost around 15 euros for the entire family (two adults and three children) and a Season Pass will cost 45 euros. The Snow Play area is nestled between the picturesque Possum Flat, near the Wire Plain. The Snow Park has a rather moderate toboggan slope that overlooks the beautiful Possum Flat. Anyone of any age can enjoy the exhilarating toboggan with a dedicated slope. Sometimes the toboggan is closed due to the lack of snow depth, but most of the times the resort has sufficient snow. The Snow Park is one area where children and families can enjoy a wide range of fun activities. The Snow Play is open every winter season; this is the place where you let your imagination run wild and create a snowman, a snow castle or any snow creature or pet that you want. The Back Country Snow Mobile Tours have expanded to offer newer routes. Take an adventurous ride on a snowmobile to Derricks Hut from the Davenport area. The guided tour will take you on an adventure in the Backcountry. Kids can have their own miniature version of a snowmobile powered by petrol the child must be at least 50 kilos to get on a snowmobile, and the child has to be 5 and above. Take a sledge ride across the countryside, in a sledge pulled by adorable howling huskies. The tour will be a once in a lifetime experience for many. Make sure that you include taking a sledge trip when visiting Hotham. Popular ski resorts in Australia Looking for ski trips and vacation packages to Australia ski resorts? 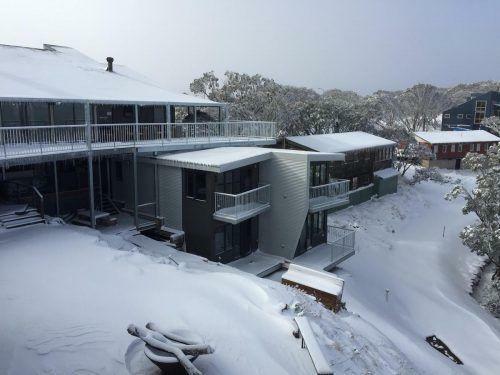 Have lots of fun skiing in Australia!